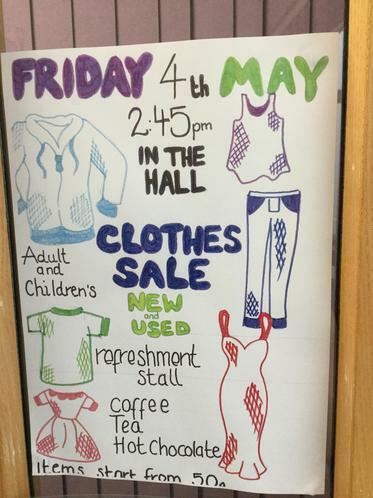 On Friday 4th May at 2:45pm, we will be hosting a clothes sale in the school hall. The sale will offer used and new items for adults and children, with some items starting from 50p. We will also be offering refreshments such as coffee, tea and hot chocolate from our refreshments stall. Please pop along, have a browse and pick up a bargain or two.